The magic of Christmas doesn’t lie in the gifts that surround our tree, but in the memories we imprint on our hearts. My kids don’t even remember the toys they received last year, but they do remember meeting LEGO Santa at LEGOLAND California and jumping on the giant whoopie cushion at the LEGOLAND Hotel. Visiting the resort during this season affords families a unique opportunity to see the creative convergence of Christmas, snow, and everyone’s favorite, colorful, interlocking bricks. Consideration provided by LEGOLAND California Resort. 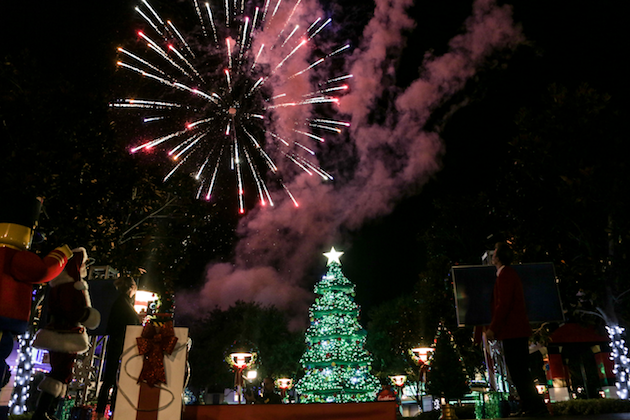 The tree lighting at LEGOLAND California Resort has become a tradition in our home. Now in its 16th year, it ushers in the holiday season at the resort. This year, actress Jodie Sweetin, who’s best known for her role on Full House and Fuller House as Stephanie Tanner, helped Santa light the world’s largest LEGO Christmas tree this year at LEGOLAND! The tree stands at 30 feet, is made from 245,000 green DUPLO bricks, and is adorned with 400 LEGO decorations and 11,000 LED lights. 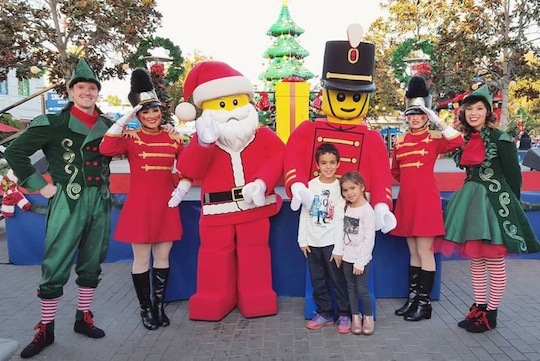 In honor of LEGOLAND’s “kids free admission on their birthdays in 2019” promotion, the tree also features 20 LEGO cupcake ornaments designed by Master Model Builders to commemorate each year the park has been open. 2019 marks the resort’s 20th birthday! 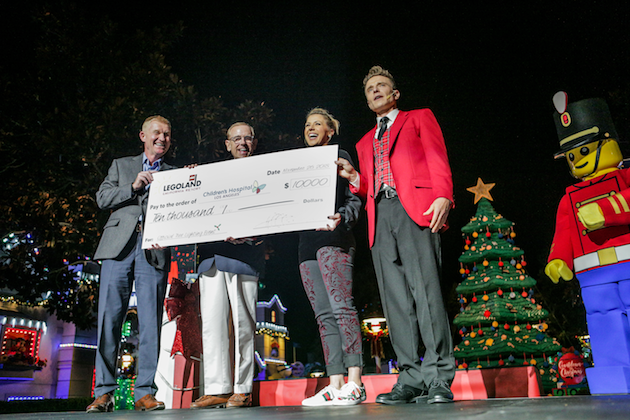 During the annual tree lightning ceremony, LEGOLAND California Resort donated $10,00 on Sweetin’s behalf to Children’s Hospital Los Angeles. 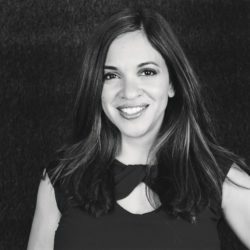 The nonprofit, pediatric academic medical center is dedicated to creating hope and building healthier futures for children and treats more children with complex health conditions than any other hospital in Southern California. Don’t miss Jodie Sweetin in her new original Hallmark movie titled Entertaining Christmas. 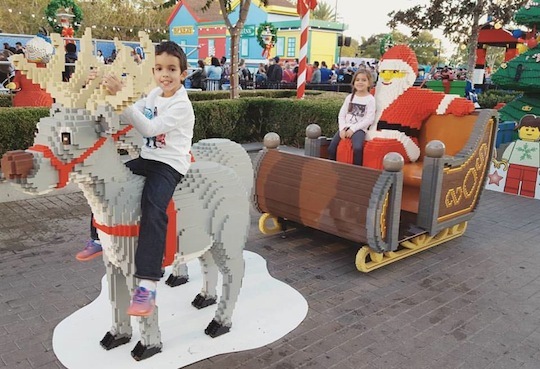 If you’re looking for a unique way to infuse a little joy into the Christmas season, here are 5 Ways to Celebrate the Holidays at LEGOLAND California. Share Your Wish List With LEGO Santa: Snap a photo, then share your wishes with LEGO Santa! Find him and his friends at the new Holiday Village, located inside Fun Town. Be sure to snap a photo! Take a Family Photo In Front of the LEGO Christmas Tree: Looking for the perfect photo to complete your Christmas Card? Dress in your holiday best and snap a photo in front of the 30-foot all Christmas tree created out of +245,000 green DUPLO bricks and decorated with more than 400 LEGO ornaments. Get Your Song and Dance On: It’s Christmastime in LEGO City and what better way to celebrate than with Christmas carols! In Fun Town, sing along with the Jingle Jammers as they add a playful twist to your favorite Christmas carols. On this stage, you can also join your favorite LEGO characters and the resort’s own Holiday Elves for a Holiday Character Dance Party. Then stay for a meet and greet after the show. 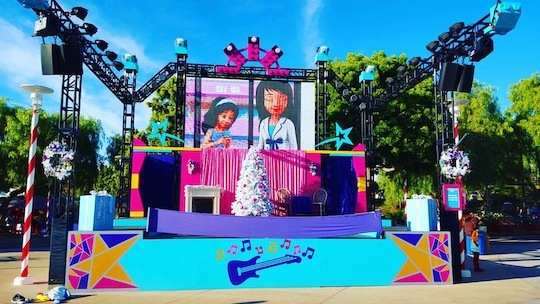 In Heartlake City, girls will love the Holiday Show which features Emma and her friends preparing for the perfect party. Be sure to pick up or download the resort’s Holiday Entertainment Guide so you don’t miss out on any of the limited-time shows! Indulge in LEGOLAND California’s Limited Time Seasonal Treats: ‘Tis the season for eats and treats, and one of our favorite ways to celebrate the holidays is to enjoy foods we can’t easily find during other times of the year. 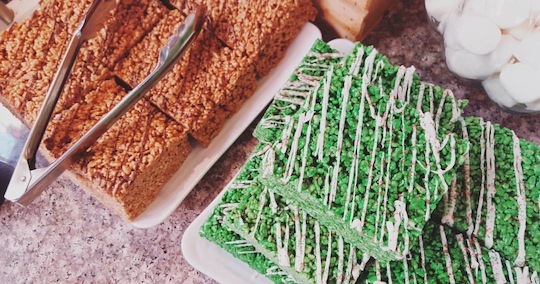 Fun Town Market is currently serving up special holiday treats and food offerings that include peppermint shakes, nutella and peppermint crepes, and more. The Fun Town Holiday Market also runs December 1, 8, 15, 22, and 26-30 with seasonal food offerings. Celebrate the Holidays at SEA LIFE Aquarium: During this season, the aquarium undergoes a festive transformation. Families can also watch the daily holiday-themed dive show. 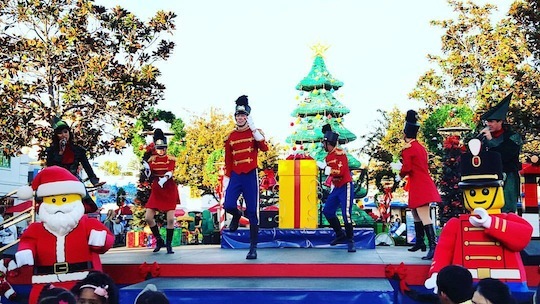 Holidays at LEGOLAND California Resort run through December 31, 2018 with festive treats, holiday entertainment, cheerful décor, family fun activities and more. Families can also ring in the new year with San Diego’s biggest Kids’ New Year’s Eve Party on December 31. All holiday activities are included with park admission. 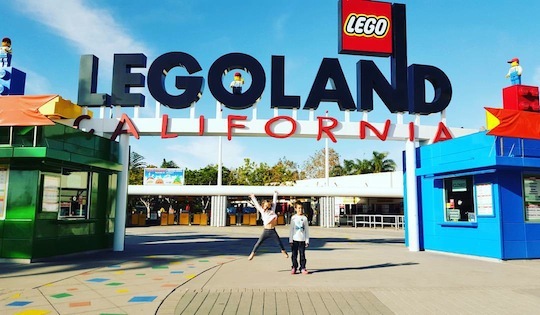 For information about opening/closing times, admission, family packages and VIP experiences, visit LEGOLAND.com.